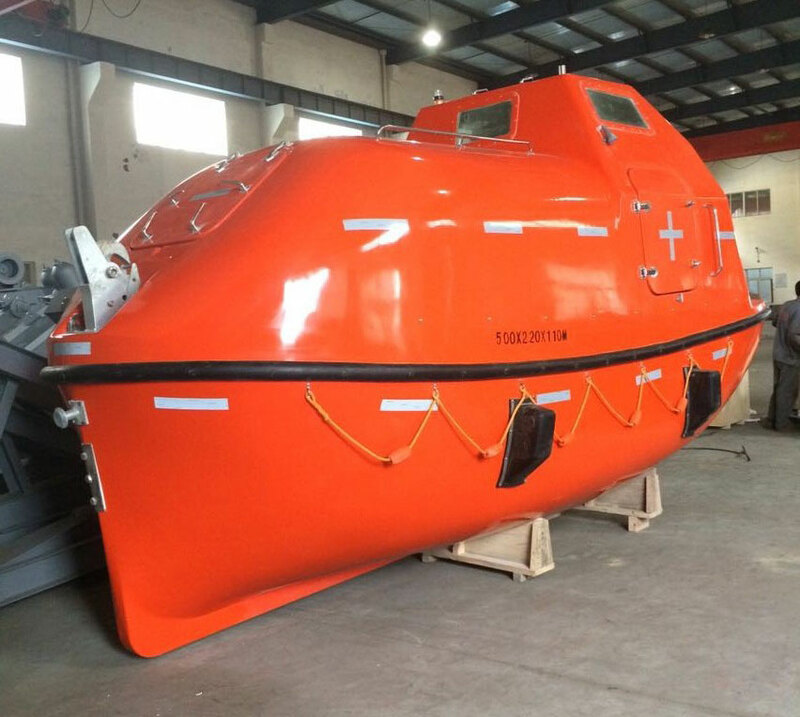 Rescue boat is made from fiber reinforced plastice ,between its inner hull and out hull is filled with polyurethane foams to offer sufficient buoyancy.even if damages occur to the boat body under water, the buoyant hull can still provide sufficient buoyancy to enable the boat to sail safely on the water. 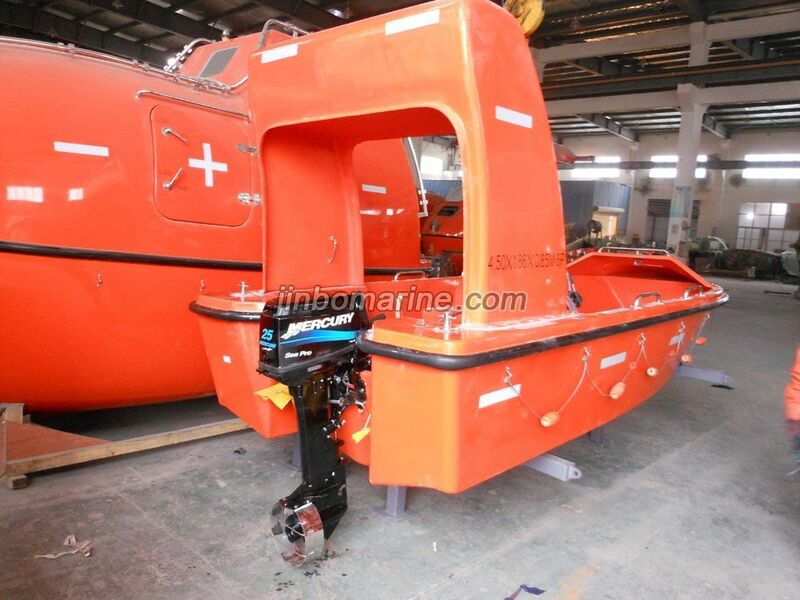 Steel handrails are installed on both sides of the boat for occupants,self-discharging deck ensures quick discharge of water in the boat,fast rescue boat is equipped with self-right air-tank,which meets the requirements for use on board of the RORO vessel,which is according to the latest regulations of SOLAS and international standards to design and build. This one have two types engine choice,one isbuilt-in diesel engine type,the other one isoutboard gasoline type.